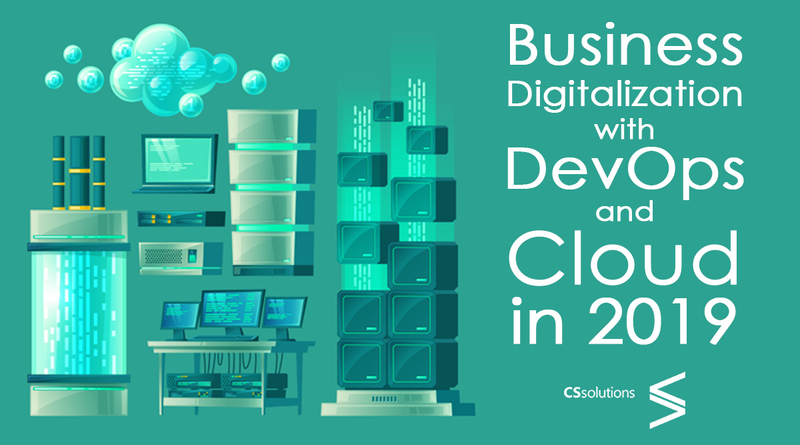 It is to be noted here that various companies have widely accepted two independent yet mutually reinforcing strategies named DevOps and Cloud computing to reach the digital transformation. What are DevOps and Cloud Computing? * DevOps (Development and Operations) is a software development methodology that focuses on process improvement on the other hand cloud computing aims to restructure development. * DevOps is synonymous to speed, quality and adding value for money. * If you merge DevOps and cloud together you will get a hero who will give your business the much awaited digital transformation. Cloud computing has successfully earned a positive reputation over the past few decades for simplifying business operations. It has brought about a radical change in the way technology was used in this field. Business owners can fully utilize the benefits of the bond between the Cloud and Dev Ops. Most of the organizations today are inclined towards cloud computing to accelerate their speed and productivity. The tools of Cloud are used in creating and handling coders and services. This reduces the risk of human mistakes and brings more efficiency in everyday work process. DevOps is synonymous to the services in which developers and operation teams work hand in hand with the AWS Cloud as a common platform. By using cloud on a regular basis developers and operational team become familiar with the cloud language resulting in a free flow of work. The combination of Cloud computing and DevOps is probably the most preferred technological combination in the business world. It removes latency that was previously present in the cloud. * As DevOps is into development, testing and implementation, the cloud provides it a compact platform to perform the task which is highly recommended in the present digital scenario. * When the concept of DevOps became a trend amongst businesses that were gradually shifting towards it from the traditional waterfall model, the resource management became a difficult job for them. But the advent of cloud computing simplified the task. * Major application development firms like Facebook, Tweeter, Amazon, Google etc perform multiple operations per day, which is only possible in the presence of DevOps. It allows companies to make changes without disrupting the work in progress and that too with less chances of failure. How do the combined power of DevOps and the Cloud help in Digital Transformation? * As mentioned above DevOps and the cloud unitedly build a smooth operational structure which ultimately enables entrepreneurs launch new products in the market without any obstacle. * The continuous cloud based operation of developers lifts up the trustworthiness of the business by providing customer satisfaction in both long and short term. * Scalability is another major reason why businesses are getting inclined towards the new concept. The mix of cloud computing and DevOps noticeably boost scalability of an organization by decreasing the infrastructural cost and maximizing global reach. The combined strength of DevOps and Cloud computing is simply unstoppable. Though they have individual capabilities to make successful impact on businesses but together they make IT transformation that helps in achieving business goals. It is recommended for all the application development companies to make investment in these technologies, in order to hold a better position in the market than their competitors. If you are an entrepreneur and are in still dilemma then do not waste your time on over thinking, as time is money. Go ahead and feel the change. At CS Web Solutions, we assist you in giving your business a digital makeover. We will guide you in this project so that you get your desired results.